This thread is respectfully dedicated to our buddy @Draggendrop. The previous thread was getting quite long, and since we haven't really paid much attention to the ISS much recently I thought it was high time to begin a new one. And what better way to kick it off than with the following news item that's sure to put a smile on everyone's face. Standby one. Google Street view of the International Space Station! Soyuz MS-05 has landed in the Kazakh steppe! If this scrub was for the same reason as Progress MS-07 then it was a faulty avionics (flight) computer. 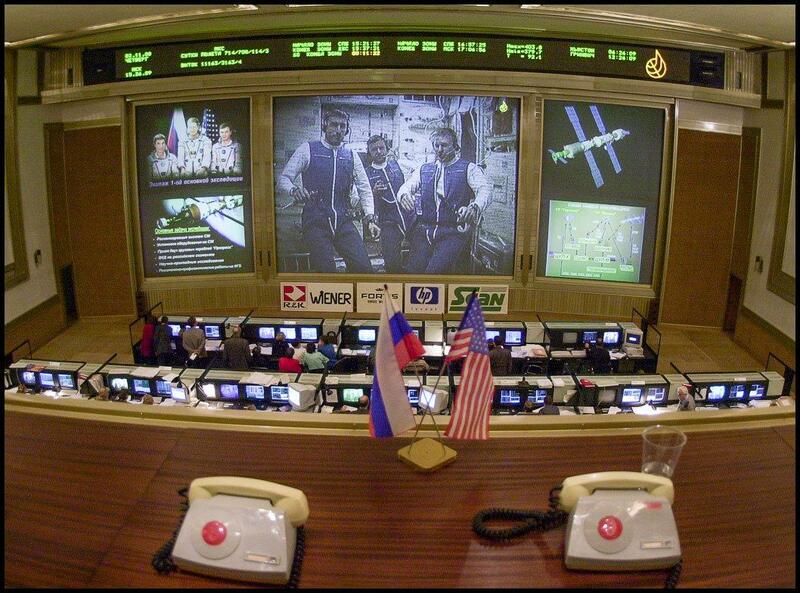 Wow .. some QA issues going on in Russia's space program too. My goodness. Enter: Bigelow's X-BASE, which would attach to ISS for a few years then fly off to become the core of a commercial low Earth orbit space station. Cis-lunar space would then become the target of the international partners with the building of the Deep Space Gateway station in a high lunar orbit. The NASA ISS transition report has been submitted to Congress. Before anyone says anything, this transitioning away from govts running ISS to commercializing it, or using commercial space stations, is not new. It's been in the works for several years. TUESDAY, April 17, at 10 a.m. EDT, the U.S. House Committee on Science, Space, and Technology will meet to consider the following legislation: H.R. 5503, the National Aeronautics and Space Administration Authorization Act of 2018, introduced today by Rep. Brian Babin (R- Texas). The legislation authorizes the programs of NASA for fiscal years 2018 and 2019. (4) The ISS transition report, submitted pursuant to section 50111(c)(2) of title 51, United States Code, provides an explanation of NASA's plans to foster the development of private industry capabilities and private demand with a goal of ending direct NASA support for ISS operations by the end of fiscal year 2024. (5) The plans laid out in the ISS transition report are conditionally flexible and require feedback to inform next steps. In addition, the feasibility of ending direct NASA support for ISS operations by the end of fiscal year 2024 is dependent on many factors, some of which are indeterminate until the Administration carries out the initial phases of the ISS transition plan. NASA's been doing to Commercial Resupply Services 2 what it did to Commercial Crew; they got base model F-150's in CRS 1 and now wants Cadillac Escalades. 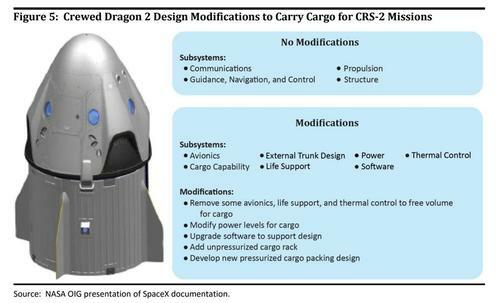 WRT SpaceX, NASA was given the choice of Dragon 1 or Dragon 2, chose Dragon 2 (Crew Dragon) then decided to modify the crap out of it. 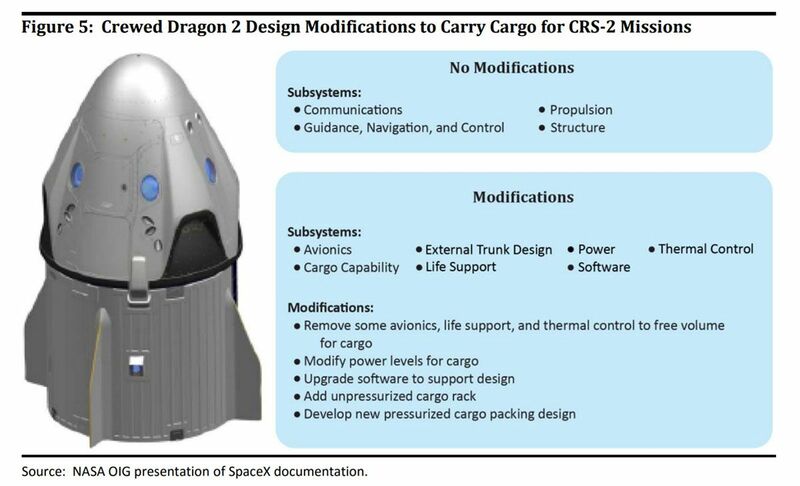 One good change is +30% in Dragon 2's pressurized cargo volume. * Government auditors published a new report about NASA's commercial spaceflight program that focuses in part on SpaceX, the rocket company founded by Elon Musk. * The report says sending cargo to and from the International Space Station may soon cost NASA about 14% more per kilogram. * It also said that SpaceX will increase its price about 50%, due to new NASA requirements that forced the company to redesign its Dragon cargo spaceship. * But SpaceX missions will still be cheaper than its competitors' and do things other companies can't. 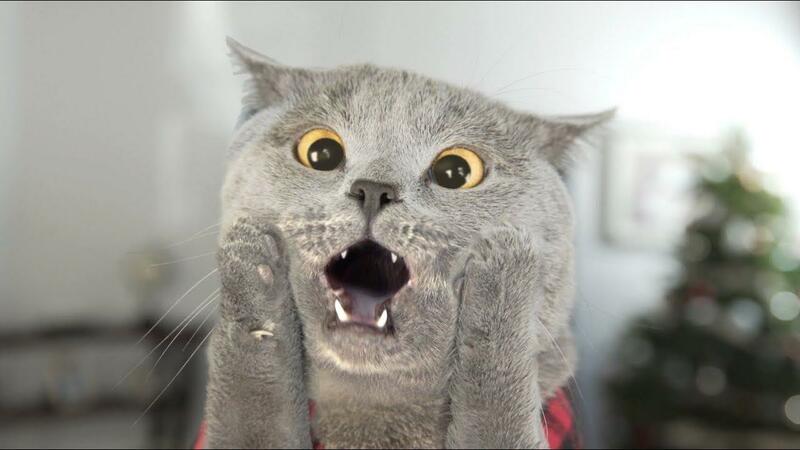 * The report pins most of the blame on NASA for the cost increase. 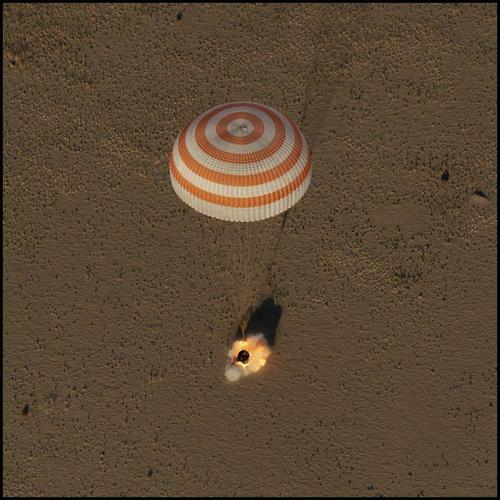 Dragon 2 changes, which of course were not well coordinated with the Commercial Crew program. Yep ... and there are two separate lines for Dragon 2's. One for Cargo and one for Crew. It's costing SpaceX so much more time and money to build them like this, and it is NASA's fault that all of this has happened. Dragon 2 should have been flying two years ago. Crew Dragons should have been doing test flights four years ago. Yes, FOUR, y'all read that correctly. NASA (courtesy of OldSpace initiatives) prevented it. 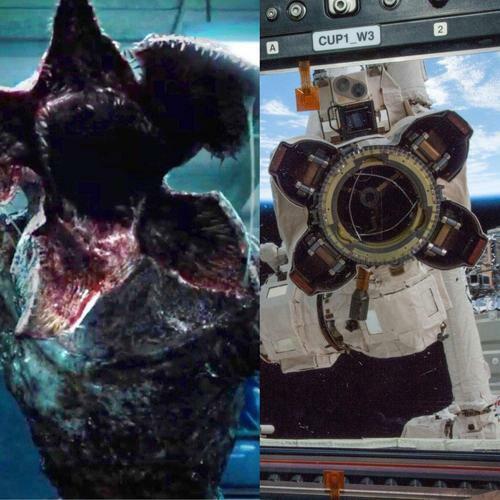 OldSpace has likewise tripped SpaceX up in Dragon and Dragon 2 development via those same lackeys working at NASA. Dirty, dirty business practices afoot as I constantly mention. OldSpace cannot simply let things be, or play fairly. 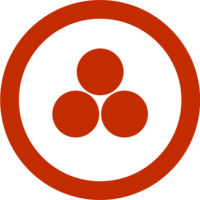 They must antagonize, manipulate, and otherwise lie in order to maintain outward appearances. And people wonder why there's so much mistrust of the Mil/Gov Contractors. There are only a mere handful of them who are trustworthy, and none of them who've been in business before 2000. Certainly not anyone tied to OldSpace. I wouldn't be surprised if SpaceX pays the penalty & bails out of Commercial Crew, finishes out the CRS-2 contract, tells NASA where to stick it and moves forward with all intensity and resources on BFR/BFS. They don't actually need NASA as much as NASA needs SpaceX. THEN Musk sends a nice, photocopied image to the heads of ULA, Boeing, and LockMart for all of the griefing they've done over the years -- I'm personally thinking a picture of himself on the surface of Mars proudly flying a middle finger would be appropriate. Mike Gold was Director of DC Operations for Bigelow Aerospace before moving on. WASHINGTON NASA has tasked a new advisory committee with studying greater commercial activities at the agency, including selling naming rights for NASA missions and allowing astronauts to perform commercial work. In a presentation at an Aug. 29 meeting of the NASA Advisory Council at the Ames Research Center in California, NASA Administrator Jim Bridenstine announced the formation of a new committee within the council that will examine regulatory and policy issues. Bridenstine named as chairman of the committee Mike Gold, vice president of regulatory issues at Maxar Technologies. Gold is also chairman of the Commercial Space Transportation Advisory Committee (COMSTAC), an advisory group for the Federal Aviation Administration's Office of Commercial Space Transportation. "NASA is famous for overcoming herculean technological challenges," Gold said at the council meeting. "However , in this new era of public-private partnerships and commercial space development, conquering regulatory and policy hurdles can be just as important to the agency as any engineering challenge that NASA may face." The committee, he said, will work to "target and tackle barriers" to achieving the agency's goals on a wide range of issues related to commercialization. 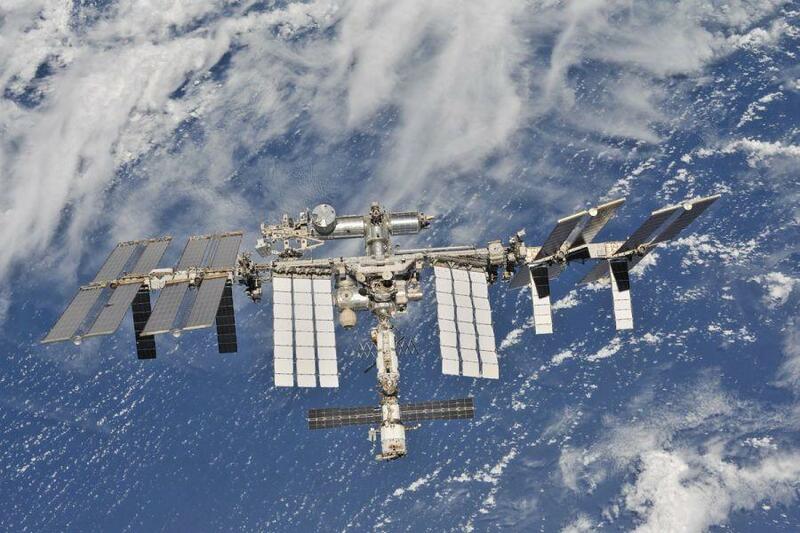 One area of focus will be commercial activities on the International Space Station, from allowing NASA astronauts to perform commercial work there to issues associated with adding private-sector modules to the station. "The great challenge private sector companies face is finding ways to bolster true commercial demand for human spaceflight" in low Earth orbit, Gold said. The ISS can play a "vital role" in that effort, he added, "but for this to occur, obsolete rules and regulations must be reviewed and revised." Both Gold and Bridenstine, though, showed openness to greater commercial activities by NASA itself. That includes studying the ability for NASA astronauts to accept "endorsements and other media opportunities" as a way of both promoting themselves and the agency. Bridenstine noted that commercial crew vehicles will be flying private astronauts who will not have restrictions on their commercial activities. 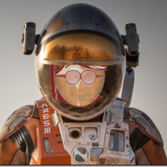 "If those astronauts are not limited in the way they are able to promote themselves, then should NASA astronauts be limited in how we promote NASA?" he said. 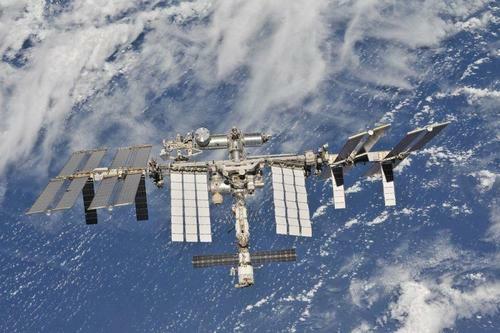 WASHINGTON — A key House member announced Sept. 26 that he is introducing legislation that would extend operations of the International Space Station to 2030, weeks after senators sought a similar extension. In his opening statement at a House space subcommittee hearing on the past and future of NASA's space exploration efforts, Rep. Brian Babin (R-Texas), chairman of the subcommittee, said he was introducing legislation called the Leading Human Spaceflight Act that he said was designed to "provide further congressional direction to NASA." The text of the bill, designated H.R. 6910, was not immediately available. However, Babin said in his remarks that one provision of the bill would extend the existing authorization for operating the ISS from 2024 to 2030 unless a viable and less expensive commercial alternative was available sooner. "As I've said before, the ISS is the crown jewel of America's human spaceflight program," he said. "Leadership in [low Earth orbit] returns tremendous economic benefits of space exploration to Earth." That's fine with me. Plenty of science to do, lots of new technologies to prove, and new Astronauts/Cosmonauts/Others who need to get feet wet. The ISS is still the best place to do that. The station is in good shape, all things considered. It'll need another round of maintenance and upgrades to make it to 2030 though. The solar arrays especially; the technology is already a few orders of magnitude better than what they're equipped with up there. Dealie-O is it'll require a huge fairing or a Utility BFS to tote 'em up there ... pretty long arrays. Good, it should stay with the international community vs. commercialization (until the maintenance/age becomes overbearing/unsafe). "The Plan" appears to be flying new modules to prove themselves, which would fly off later to become new stations; 2 Russian, perhaps Bigelow's XBASE and others. Depends on how the NextSTEP 2 space habitat program turns out. 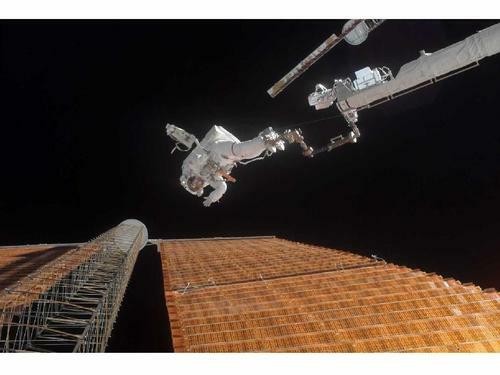 Two problems with ISS are its aging solar arrays and twitchy ECLSS system. Paragon SDC and Honeywell, as well as SpaceX and (separately) SNC's ORBITEC division are working in more closed cycle systems for deep space, but adapting them would be up to the partners. "A US and Russian astronaut are making an emergency landing following a rocket failure. The crew members are "alive and set to land in Kazakhstan" according to Russian media." 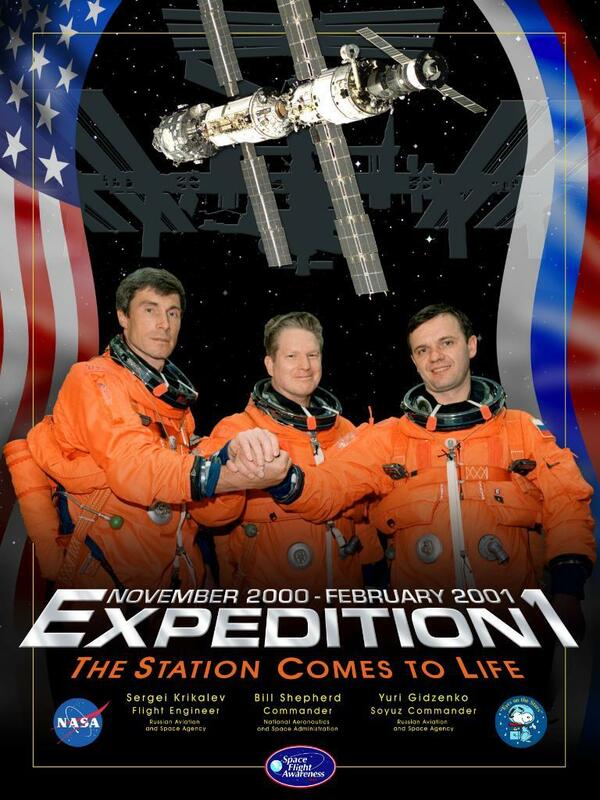 On this day 11 years ago, our team at #NASA redefined what was possible. 11 years, and our 5 stitches are holding strong on the #ISS Solar Array! Captured this image (‘5 Stitches in Time’) of @AstroDocScott from my ‘front row’ seat! Whoa ... that's bold coming from him.